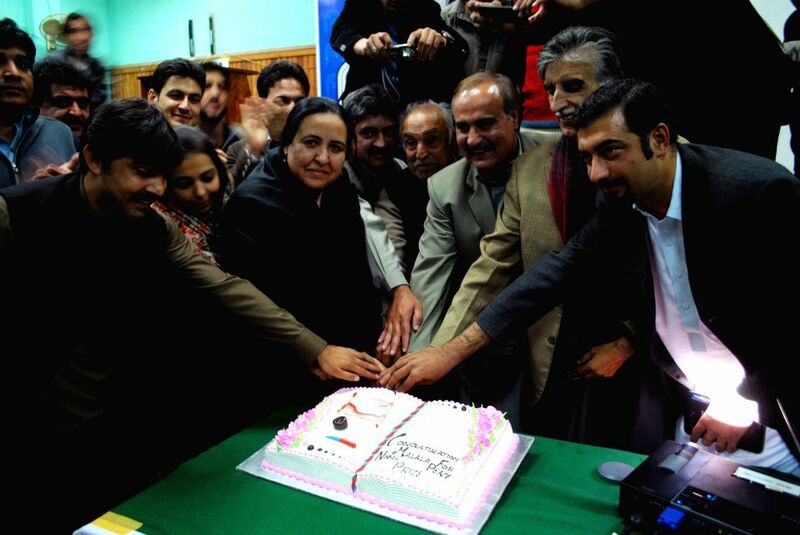 Peshawar: Pakistan people cut a cake as they watch a live broadcast of the award ceremony of joint Nobel Peace Prize laureate in Peshawar, Pakistan, Dec. 10, 2014. Kailash Satyarthi and Malala Yousafzai, two child welfare activists from Indian and Pakistan respectively, received the 2014 Nobel peace prize on Wednesday . 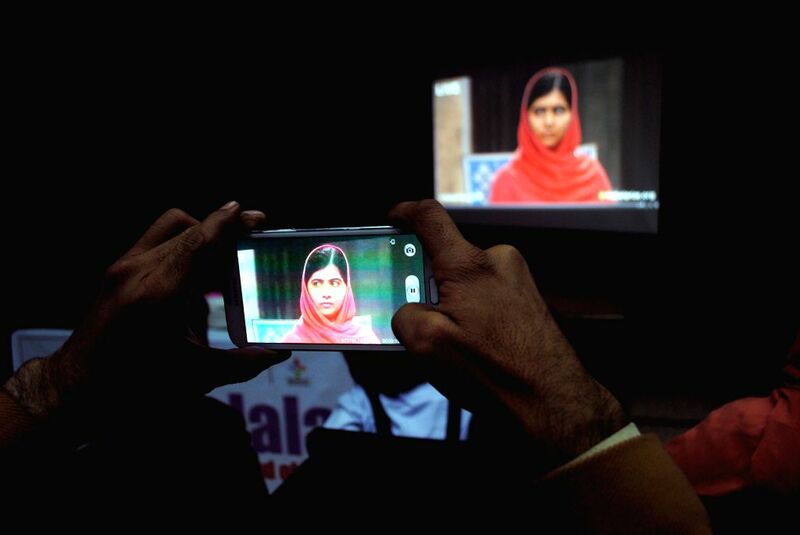 A Pakistani man watches a live broadcast of the award ceremony of joint Nobel Peace Prize laureate in Peshawar, Pakistan, Dec. 10, 2014.